RFID Linen and Laundry Management solutions are meant to improve the efficiency of textile tracking. Some use cases include tower management in gyms, uniform issuance and return tracking, as well as laundry management tracking. UHF RFID tags are sewn into the linen itself enabling easy tracking compared to bar-code tracking, that require direct line of sight with the reader. How can RFID be used to tracking linens? A Desktop RFID Reader can be used for staff to scan the fabric and issue out uniforms, towels, etc. The reading range of the reader is only 10cm from the tag itself. Such close range tracking reduces the risk of capturing the data of another tag around the area, and tagging it to the person. 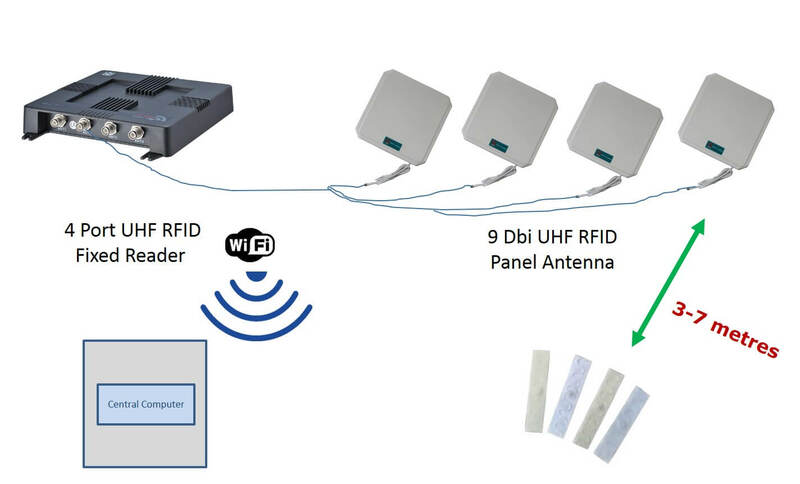 Fixed RFID readers and antennas can be placed around areas where automatic capturing of tags are required. The reading range of such antennas, can be from 3 metres to 7 metres. Special antennas can be installed along conveyor belts or docking stations, for each of integration into the workflow. JA Security can also build custom RFID stations or cabinets to keep track of the linens in real time. 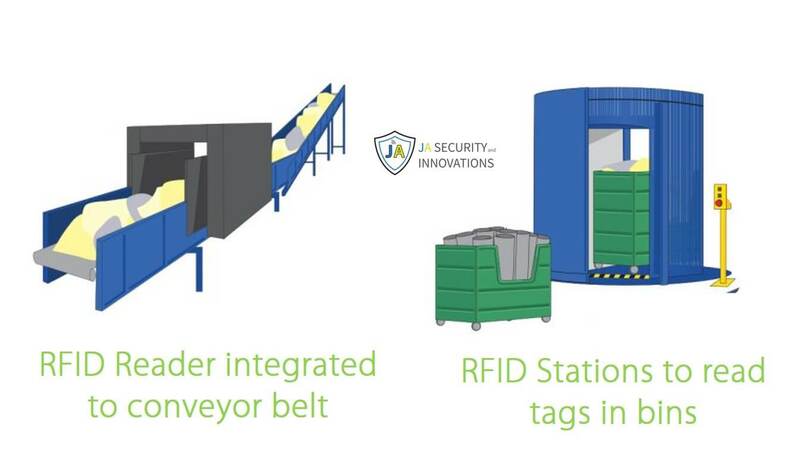 JA Security offers a number of RFID solutions to fit your linen tracking needs. Email info@ja-si.com or call +65 94555414 for more information. We provide fully customized RFID solutions in Singapore.